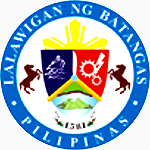 Here is a list of colleges and universities in different cities and municipalities around the Province of Batangas. I have doubts about the accuracy of the list and the veracity of some of the entries as the Commission on High Education does not have a public list on its web site the way the Department of Education does. Any reader who wishes to suggest additional entries are encouraged to do so using the comments box at the bottom. You will need a Facebook account to leave a message. Please write only about colleges and universities that offer degree programs.